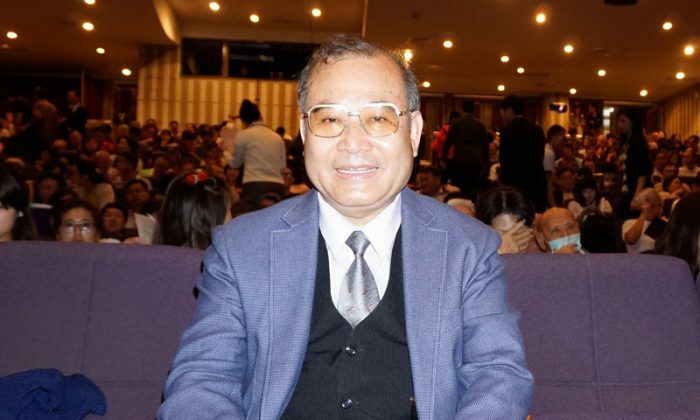 KAOHSIUNG, Taiwan—Chen Po-yu, president of a Taiwanese enterprise group, was fascinated by the splendid performance presented by Shen Yun Performing Arts World Company, when he saw the show along with his entire family at the Chih-The Hall of the Kaohsiung Cultural Center on April 6. He pointed out that Shen Yun made people have a “miraculous feeling,” due to its unique form of performance. “The vibrant colors of the costumes are so exquisite and incomparably beautiful,” he added. Chen appreciated Shen Yun for its emphasizing on the harmony between man and Nature, and such harmony is good for society. New York-based Shen Yun is the world’s top classical Chinese dance and music performance. Its mission is to revive the 5,000 years of divinely inspired Chinese culture, which was nearly lost under communist rule. “Shen Yun has continuously grown through severe training, so that it can reach out to the entire world. It’s a remarkable achievement and is very precious,” he added. With reporting by Li Fangru, M. Han, and Billy Shyu.